Welcome to our department of music and worship arts a place where dedicated music and worship arts trainers and leaders make exception music and stimulate artistic growth among others. Our distinguished department made up of over 200 members with inspired trainers, choir members and sound men who are committed to challenging of worship team / ministers to become all they can be. Members of this ministry have viable reputation in doing ministry within and outside All Saints’ Cathedral, Kampala and Uganda at large;-, out reaches in schools, international festivals, national events among others not forgetting their dedication to the many services that we have diligently done as they occur at the Cathedral to mention but a few;- Sunday service mid week, funeral, memorial services, weddings and thanks giving services. Music and worship arts department brings a musical program. Enrol your child(ren) and adults for this Holiday programme here at All Saints where we explore various facets of the musical life. Children will be well occupied, learning, whilst having fun and exploring various instruments and their voice capabilities. The programme is well subscribed so please ensure you register with us early. • A trainee will do one session per day. The Worship and Arts Ministry is majorly composed of five choirs which take the lead in worship through praise and worship during fellowships, services, outreaches and missions at ASCK. The Vision of the ministry is Worshipers that are Christ centered and meeting the worship needs of the parishioners. The Anglican flames was started as a youth choir at the 4:00pm deliverance service in ASCK in 1987 and later transformed into the main praise and worship choir for 9:30am service. Vision: To be true worshipers who worship God in the spirit and truth, John 4:24. Mission: A God fearing praise and worship team that promotes and supports true worship in music, teaching, training and prayer in the Anglican Church and beyond. Children’s Choir; the youngest members of the ministry belong to this choir and they do lead their fellow children during praise and worship during Sunday services in all the main services. The children are led and guided by the re teachers who are assigned to be in the worship department. A community of worshippers with a vision to impact lives through music that creates an atmosphere for God’s people to draw into His presence. The Gift Vessels lead worship during the All Saints’ Cathedral Mid-Week services every Wednesday. JCM is the choir that ministers at 7:30am and 11:30am early morning services. These services are majorly composed of the Ancient and Modern Hymns which are very appealing to the respective congregations. The blend and crisp of the Hymns is best done by the JCM thus making this choir the best choir for all Hymns. The Mission Choir mainly focuses on doing Missions within and outside the cathedral. The choir focuses on spreading Gods word through song at various missions/outreaches that are organized by the cathedral. Vision: To serve God by reaching out to others in witnessing about the love of God in the gospel hence transforming lives in Christian faith. The choir consists of majorly students and people already in the market place. The Teens Service Worship Team falls under the umbrella of the church Youth Ministry fostering the vision of “Youth rooted in Christ, growing in faith and abounding in faithfulness”. The ministry seeks to equip and mentor young people in the area of Worship, which includes Song Writing and Musical Creativity. The team is responsible for leading worship services in the teens church. It comprises teenagers and youths of whom some are apart of the Wellsprings band. 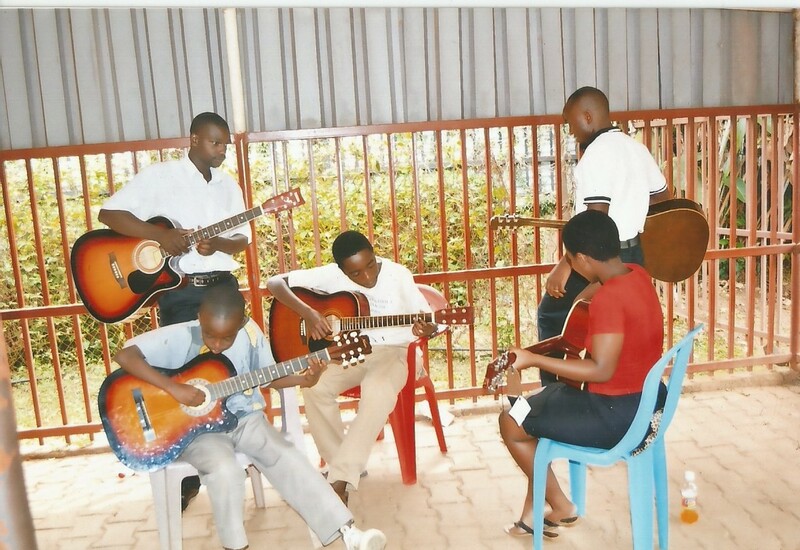 Wellsprings band is a team of youth who are dedicated to minister unto the world through music. The band consists of youth who are majorly at University and members who are in the market place. 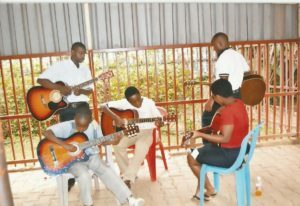 The band ministers in the Youth service at All Saints’ Cathedral, Kampala at 3pm on Sundays. Mission: Commissioned to bring transformation, healing and Revival. WE ARE A GENERATION AFTER GOD’S HEART.